Paperwork: The bane of every company owner’s existence but a necessary evil. Even with the developments in technology the one thing that has not changed over the many many years of business is the need for paperwork, whether it is hard copies or electronic, every company needs to keep track of everything going on. Even if you are a business consultant or offer a professional support you still need to keep track of all the paper, marketing tools and software you purchase. Even if you have an accountant who takes care of all your finances to send to HMRC at year end, it is also good for you to keep track of all your receipts on a monthly basis, a simple spreadsheet is more than enough. Another major piece of finance paperwork that needs tracking is invoices. Knowing when they are due and if any payments have been made guarantees you keep track on any overdue invoices and you are not short changed by clients. Keeping track of any marketing campaigns you run, i.e Google Ad words, Facebook Ads etc, helps you identify which are successful and which are a waste of your money. Keeping track of newsletters sent out also keeps track of any information you have sent out and if someone contacts you regarding that information you can easily look it up. Keeping track of social media/blog posts means you do not end up repeating yourself and looking unorganised. For example our ‘This month in history…’ posts are saved and we keep track of all facts used so next year we are not blogging the same information and boring our readers. Tracking the amount of followers gained and people engaged helps you see more clearly your company grow and spread. Searching your business on social media also helps track any bad publicity you may have obtained. If you do not create a page for your business before someone else does then you have already lost control of what your audience sees. This will help you work out exactly which months are more popular and if you have repeat customers it allows you to see how often they are returning, maybe to help offer them a loyalty offer. If you reward referrals it also helps confirm the name you are given has genuinely been a client. May seem an obvious one but keeping on top of everything from client appointments, business meetings and even your social media time can help you make the most of your time and reduce the risk of double booking yourself or running out of time for something. Why not try the Business Planner offered by Educate Business, it not only helps you plan your business but also your personal life. Keeping track of your clients helps your business grow. Even keeping track of potential clients means you can email them at a later date and see if there is anything you can do for them or sell them. With lives so busy these days it is easy for people to forget who they contacted for help, sending a quick ‘Hi, how are you…’ email can help them remember. If you have sent a current client something it is always best to follow up when there is no response in case your email slipped through the cracks, or again they have been too busy to remember. Whether you are selling handmade items or providing a service, keeping a note of all hours worked means you can compare your income to the amount of work required, it helps to see if the financial return is worth the time invested or if things need changing. If you spend an hour networking every Monday then still record it, if you were an employee your employer would be tracking every time spent at work whether you are working or not. If you have employees it also helps see how the workloads are shared and work out their wages due. It also helps you understand more clearly how many hours an average job will take so when quoting a similar job you have a better understanding of the time truly required. It may seem an unusual thing to keep track of but it prevents you from making mistakes similar to those seen in our previous blog post, ones that could cause severe damage to your business. Using a severely distressing situation as an advertising ploy will not settle well with customers and followers. It can be time consuming and tedious to keep track of all this as well as running the main body of the business. A simpler method to keep track of all this is to outsource it to a capable and experienced team, such as RedRite. All we require is access to invoicing and appointment systems, customer databases and any receipts obtained, if none of the databases are in place we can easily create them for you, helping to smooth out the running of your business. 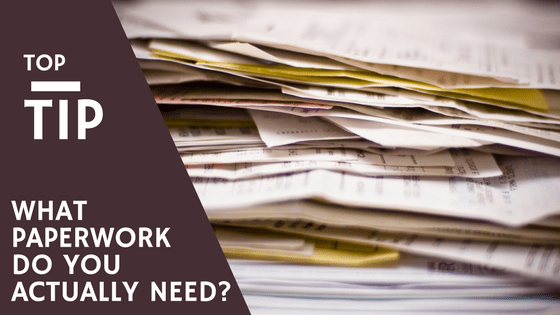 No need to stress over the piles of paperwork building up, stop digging through shoeboxes full of receipts or paying your accountant a fortune to do it for you, pass it on to someone who loves paperwork and will cost you less than an accountant or an employee who needs desk space. We love paperwork and promise to handle it with the upmost care. Call today or Email us for help digging out of the sinking hole of paperwork you have found yourself in.